Nail Of The Day: Zoya 'Trixie' With Special Holiday Konad Image! Here is yet again another nail of the day. I have on my nails Zoya's Trixie nail polish which is a beautiful metallic, shimmery silver color. I have never tried a silver on my nails before and I am impressed with this one. Application was no trouble at all, no air bubbles, streaks-nada! 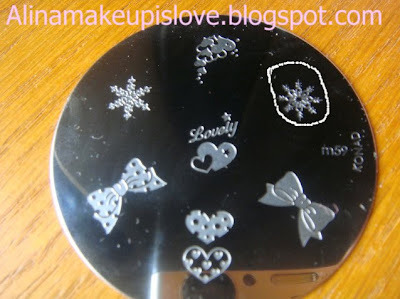 To spruce it up a bit and really get into the holiday spirit, I decided to add a cute snowflake image from Konad Plate m59. Disclosure: I purchased all of these products with my own money. I am not affiliated with any of the companies mentioned above. 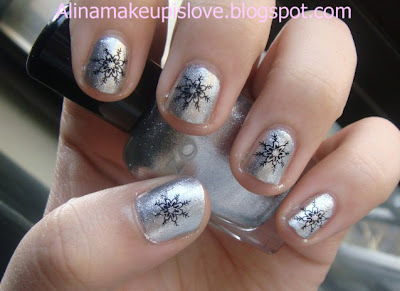 Ur nails are so cute with the snowflake.